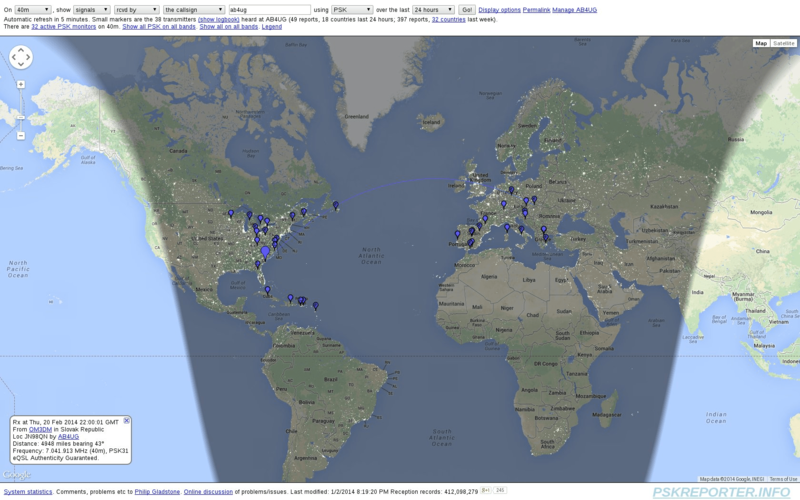 Continuing on with the previous set of experiments, I left the radio listening to 40m PSK at 7.040 MHz. 40m is a very noisy band here, with a lot of random static and noise bursts across the band that make decoding digimodes more difficult. Activity during the day was pretty sparse, and most of the stations spotted were in the late afternoon/evening hours (local time). Perhaps not a good day for 40m propagation?